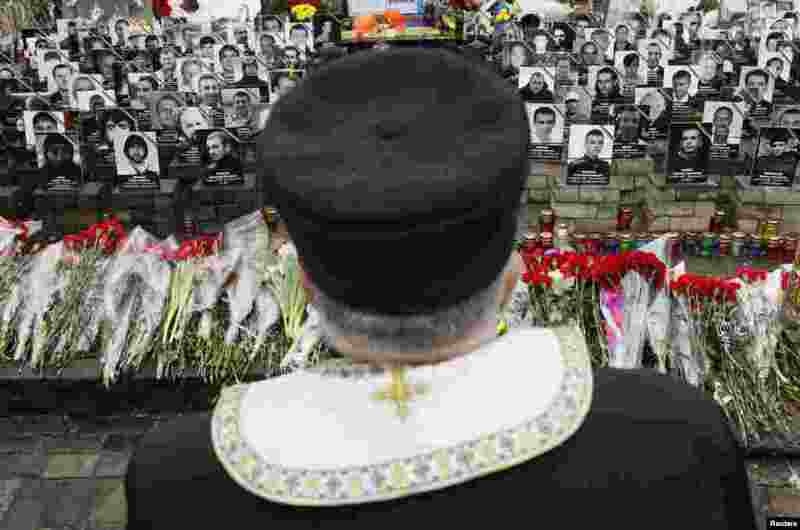 1 A clergyman stands near photos of people, killed in anti-government protests in 2014, during a commemoration near Independence Square in Kyiv. Ukraine will mark the first anniversary of the ousting of the pro-Moscow President Viktor Yanukovich next weekend, honoring the memory of the 100 or so civilians killed in protests against him. 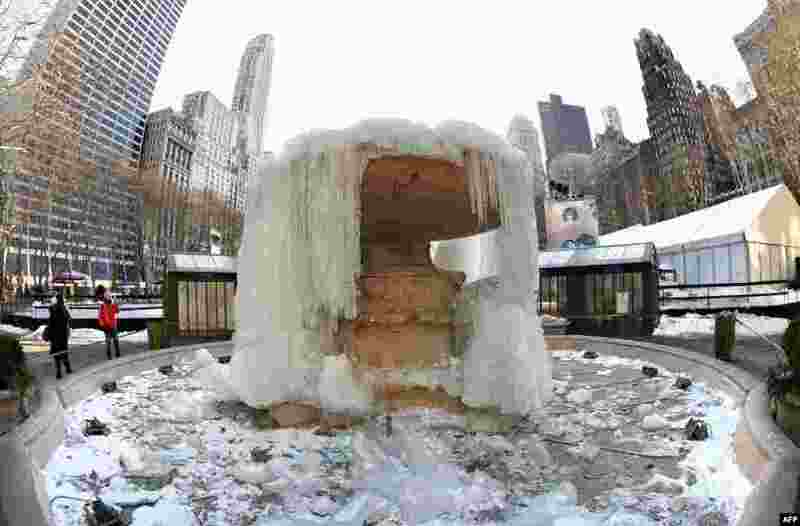 2 The Josephine Shaw Lowell Fountain in Bryant Park in New York remains frozen. The temperature in Central Park Friday morning was 2 degrees Fahrenheit (-16.6C). The previous record for this date was 7 degrees Fahrenheit (-13.8C), set in 1950. 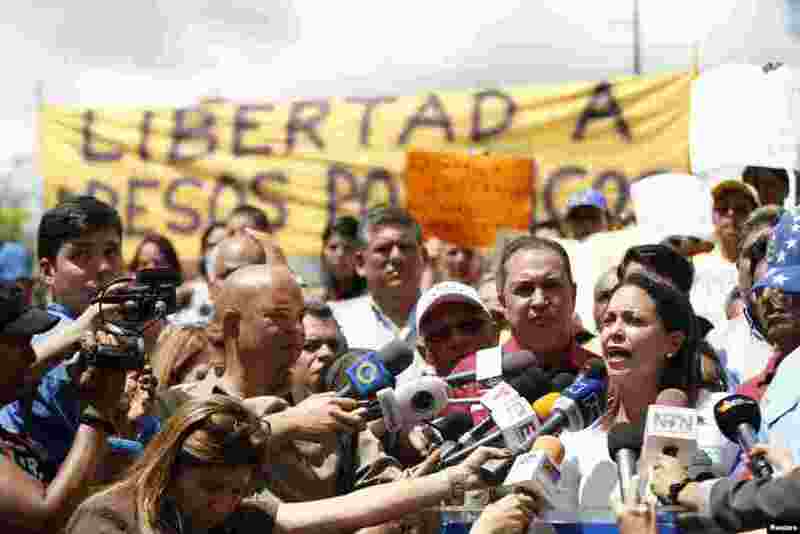 3 Venezuela's opposition leader Maria Corina Machado (R) speaks during a gathering in support of arrested Caracas mayor Antonio Ledezma in Caracas. Opposition leaders demanded the release of Ledezma arrested on accusations of plotting violence against President Nicolas Maduro's government. 4 An ultra-Orthodox Jewish man prays at the Western Wall, the holiest site where Jews can pray in Jerusalem's old city. 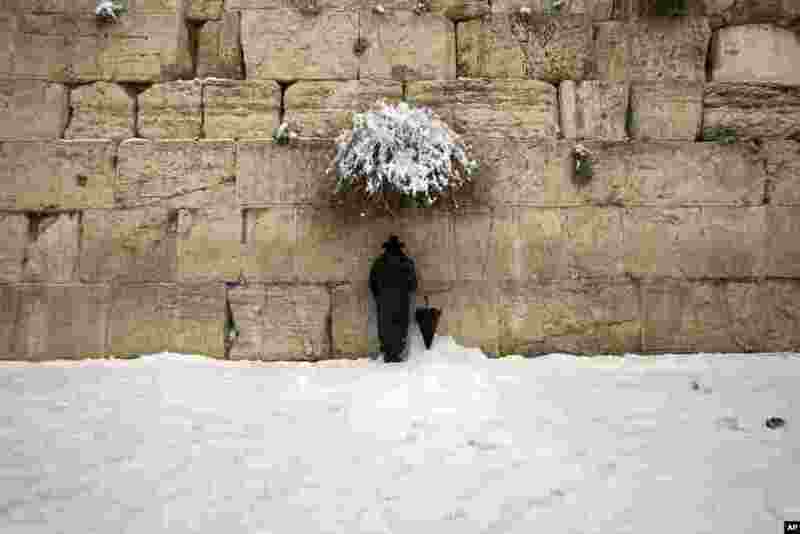 A heavy winter storm descended on parts of the Middle East on Friday, with snow forcing the closure of all roads leading in and out of Jerusalem and sprinkling Israel's desert with a rare layer of white.